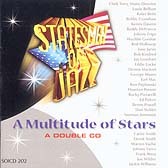 Background Music: "If I Had You" (Ted Shapiro, Jimmy Campbell, Reg Connelly), from A Multitude of Stars, Statesmen of Jazz, 2004, Arbors Records, with permission. The Statesmen of Jazz is a touring ensemble group of senior musicians who perform at jazz events and give clinics in the schools. It is a non-profit organization created in 1994 by Mat Domber of Arbors Records and the American Federation of Jazz Societies. 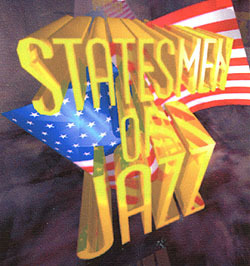 The Statesmen are drawn from an ensemble pool of musicians who have outstanding careers in music, including Kenny Davern, Milt Hinton, Clark Terry, Ken Peplowski, Bucky Pizzarelli, Ed Polcer, Jay Leonhart, and Warren Vaché, Jr., in addition to Johnny Varro and many others. They have recorded two CDs produced by Arbors Records and performed live worldwide at jazz festivals, concerts, clubs, and clinics. The American Federation of Jazz Societies is an international nonprofit organization whose mission is to promote and support jazz through a variety of activities. AFJS fosters mutual support among jazz organizations by managing a network for sharing information, resources, and techniques. Johnny Varro can be heard on: A Multitude of Stars, Statesmen of Jazz, ARCD: SOJCD202. Clark Terry, flugelhorn, trumpet - Joe Wilder, trumpet - Louie Bellson, drums - Keter Betts, bass - Bobby Cranshaw, bass - Kenny Davern, clarinet - Buddy DeFranco, clarinet - Johnny Frigo, violin - Wycliffe Gordon, trombone - Red Holloway, tenor saxophone - Jane Jarvis, piano - Bob Kindred, tenor sax - Jay Leonhart, bass - Eddie Locke, drums - Dennis Mackrell, drums - George Masso, trombone - Earl May, bass - Ken Peplowski, saxophone - Houston Person, tenor saxophone - Bucky Pizzarelli, guitar - Ed Polcer, cornet - Benny Powell, trombone - Don Sickler, trumpet - Norman Simmons, piano - Carrie Smith, vocal - Derek Smith, piano - Warren Vaché, cornet - Johnny Varro, piano - Frank Wess, tenor saxophone - Jackie Williams, drums. To book the Statesmen of Jazz, contact Johnny Varro or Mat Domber.